Buckaroo Day Care is available during our regular operating days during the ski season. The Buckaroo Day Care give parents a safe place to leave thier little ones while enjoying the mountain. We accept children ages six months to four years old. Our number one goal is to have the children gain a love for the snow as much as we do. A variety of experiences are offered such as group activities, story time, crafts, and outdoor play. Buckaroo Day Care has a secure outdoor play area where we allow the children to play and get some fresh air. We do ask that parents provide diapers, wipes, bottles, formula, as we do not have those items available. We also ask that parents provide any extra clothing that the child may need. Snow gear such as a jacket, bibs, boots, gloves, and a hat will be required for outdoor snow play when the weather permits. Check in for children starts at 8:00am upstairs in the Main Chalet at the Buckaroo Day Care. Children must be picked up by 4:00pm. If your child has specific dietary needs we ask that parents provide approved lunch and snacks. Please label any extra clothing or belongings. We recommend making reservations for Buckaroo Day Care as we can fill up and sell out of available space for children. 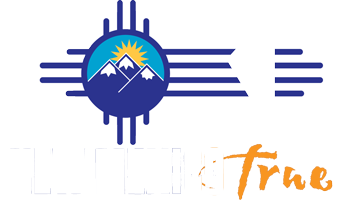 The state of New Mexico Daycare regulations require parents or guardians of children enrolled in Buckaroo Day Care to remain on Red River Ski & Summer Area property.